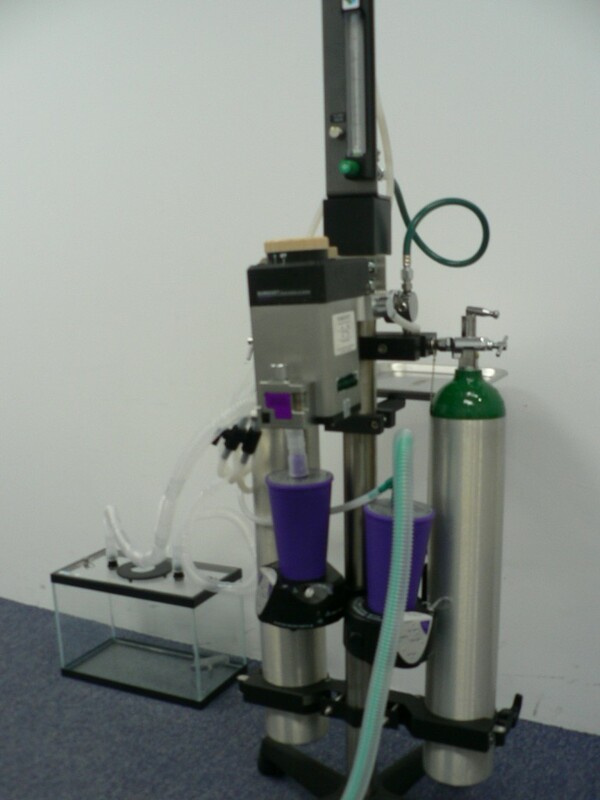 This is the most popular setup used for research labs in Singapore. 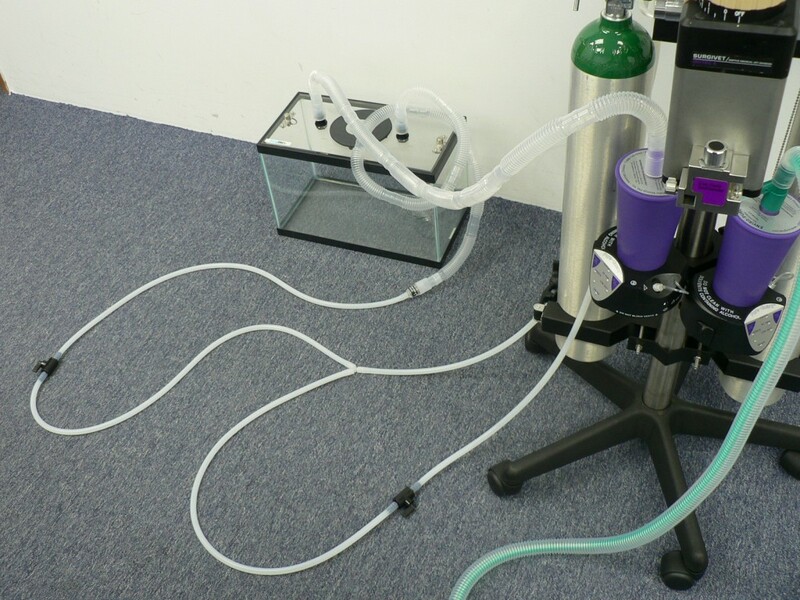 This Vaporstick setup with Double E oxygen tanks (682 liters per tank) allows for full autonomy to move within rooms in research facilities. The setup pictured above comes with the Pure Guard charcoal waste gas management system to filter waste gases from the animal and/or an induction chamber. The optional Mayo tray provides a workable surface to place instruments and tools. 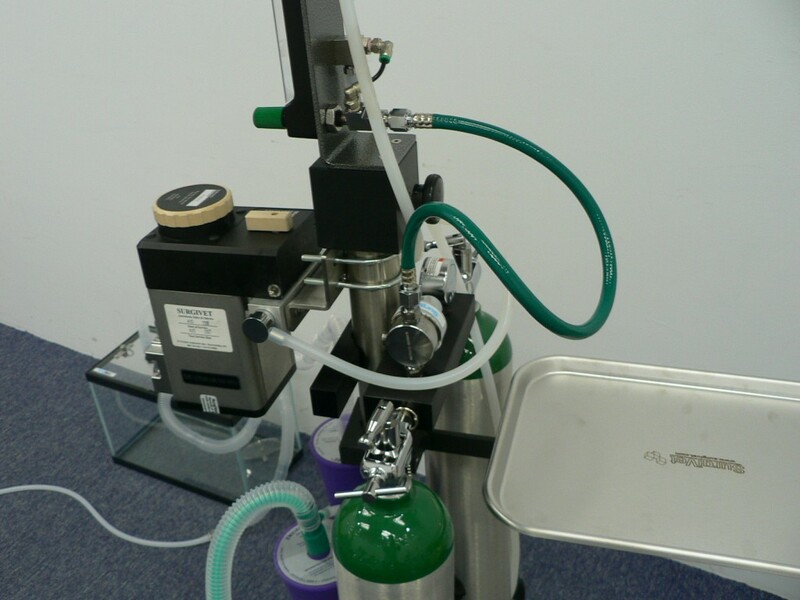 A Tech 3 or Tech 4 Vaporiser (Isoflurane key fill) will provide leak free precision metering of anaesthetic gas. Please call or email us for a discussion and quote on your setup needs.